At The First Annual Music Festival Presented By B. & G.S.C. April 1910"
Extracts from MS 272/I/5 Minute Book, 1884 – 1895 “….Midland Adult School Union formed Feb Thurs 14th 1884 at a meeting at Severn St. School. Lancasterian School, Severn Street, 1809. Contemporary print From: British History Online. Not known if this is the school that Joseph Sturge started the Adult Class. Choirs: The first choir would be Reuben Heaton,s Class 1. Choirs existed in Y.P.M., * Gooch St. & other meetings. * Believed to be “Young People’s Meeting” my italics. Nelson Street Male Voice Choir, founded by the same conductor about the same time. Many other choirs started, Icknield Street, Clarke Street, Raddlebarn Road, Bearwood, Gooch St. mixed and others. Adult School Choral Society 1910. Midland Adult School Choir Competition was very popular for many years. Adult School Choirs were successful in the Midland Musical Competition Festivals. Some choirs still in existence. Note 1946/47 (Raddle Barn) & 1950/51 (Icknield) only one shield each is used. Where were the festivals held? 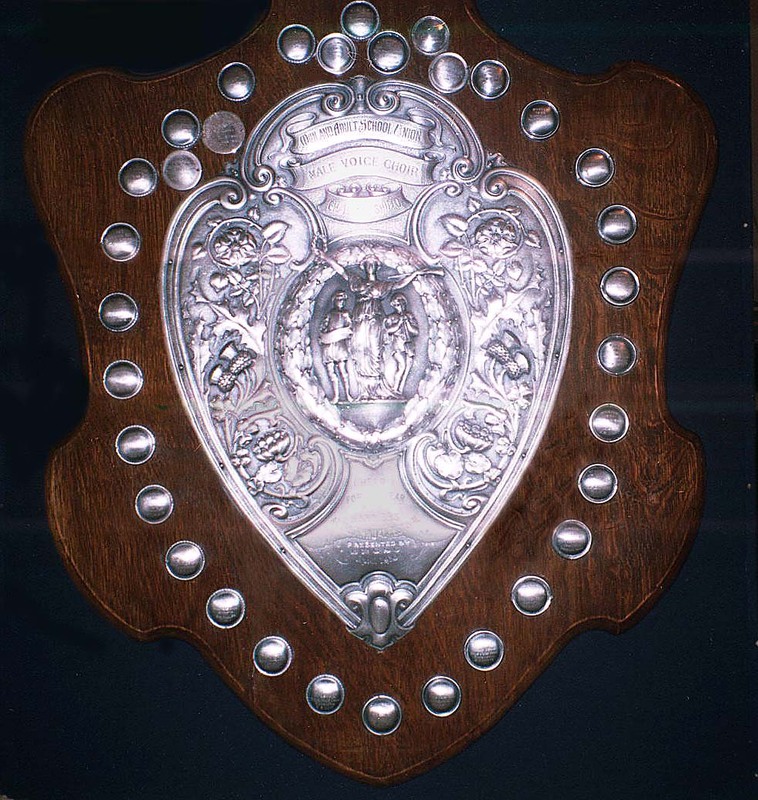 The first was in the Central Hall, April 2nd 1910 Corporation St.
(search on "Moseley Road institute"
Where was the Challenge Shield manufactured and when? Would any kind reader let me have any details, emails preferable, or written information, photos (they will be looked after & returned), of the schools here mentioned but with particular links to the choirs and the shield. Where photos are used I may have given acknowledgements but some are in the public domain or taken by myself. I will remove without question any that are deemed to be copyright. Thank you, contact details at bottom of page.